Featuring Justin Dore, Daine Hammerle, and Eric O’Daly. 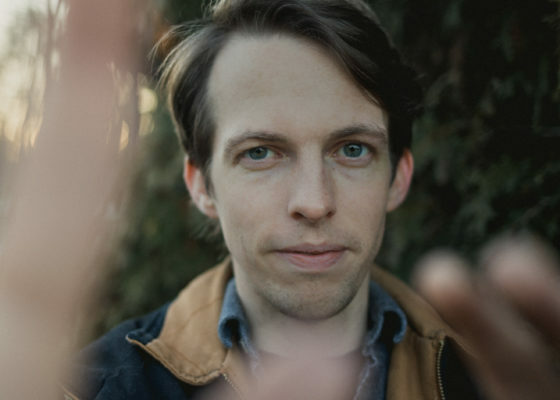 Songwriter, vocalist, and poet Max Lockwood channels the flair of Tom Petty and the eloquence of the Beat Generation’s finest to create a sound rooted in songcraft and heartfelt lyricism, and bound with elements of rock and roll, folk, and pop. With full arrangements and rich poetic focus, the listener is led into a deep sonic landscape by songs that seek to uncover truths of love, adversity, and growth. Born and raised in a small West Michigan town, Lockwood fell in love with music at an early age and began writing songs and performing professionally in his early teens. After studying classical bass performance at DePaul University and poetry at University of Michigan, he continued his pursuit of music in his own groups, as a producer, and as a bassist backing many of Michigan’s most beloved artists. He has released five albums with his rock band Big Dudee Roo, and one previous solo effort titled “Outrider”. 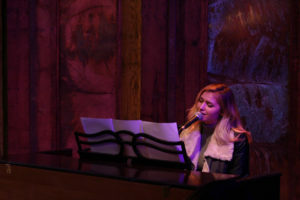 Gloria Branch is a 19 year old singer-songwriter from Clarkston, MI. She is currently attending the Detroit Institute of Music Education for a degree in Commercial Vocal Music Performance. Though she’s classically trained, her passion has always been singing R&B and soul influenced music. Gloria has been performing for her entire life and working professionally as a singer since graduating high school. She draws inspiration from artists such as Mariah Carey, Whitney Houston, and Aretha Franklin. She is currently in the process of writing and recording her debut EP and is excited to continue her musical career.